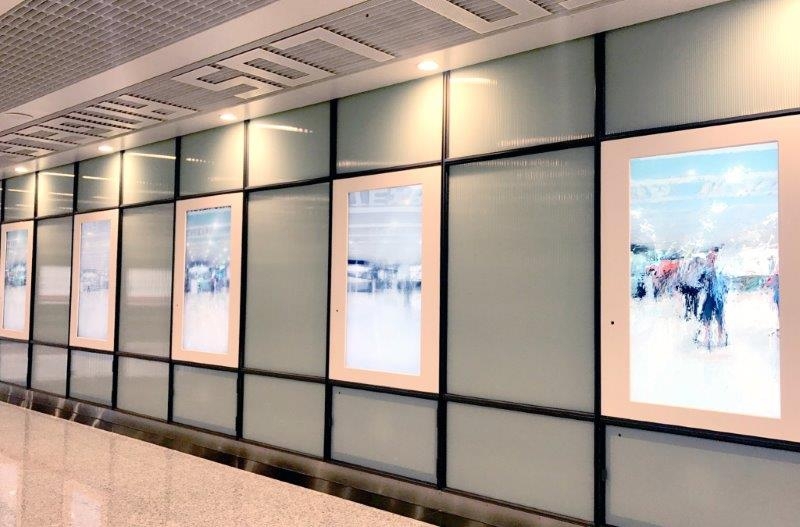 “Software Mirrors” is installed at the B2 hallway main entrance area, and it is there to give the passengers the first impression for this space. 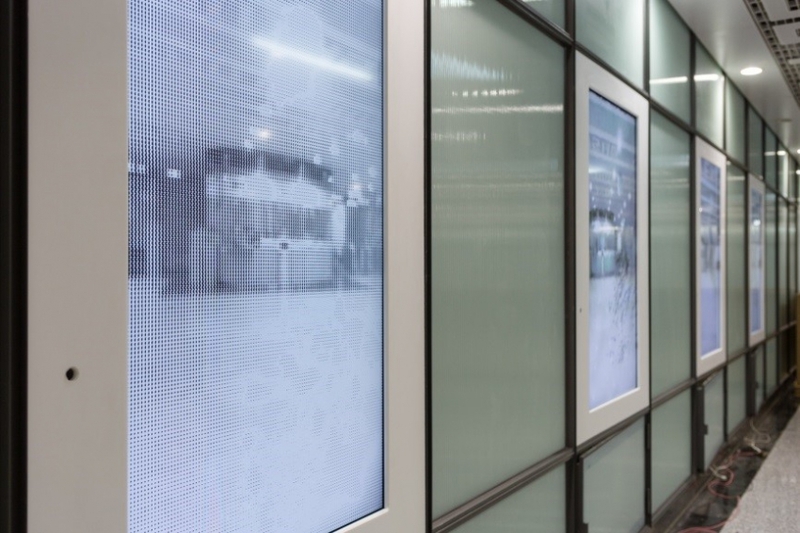 It’s a software art installation that generates a live reflection of its display environment. The 5 screens run 5 variations of the reflection theme, each highlighting a different aspect of dynamic image creation such as pixels, lines, color and time. Through the interactive mechanism, exchanges and communications are formed between the space, the artwork, and the public. Public viewers are transformed from passive observers into an active part of the artwork. Each person is able to create a digital aesthetic experience that is unique to him or herself.